OSHA has announced that it is seeking public comment on an updated version of its Safety and Health Program Management Guidelines (OSHA-2015-0018). It says this new draft document is intended to “provide employers and workers with a sound, flexible framework for addressing safety and health issues in the workplace” and requests comments by February 15 of next year. 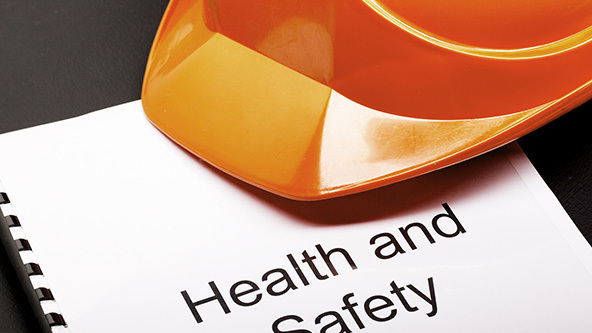 The proposed guidelines provide recommendations intended to help workplaces more easily take a proactive approach to workplace safety and address potential problems before they result in an injury or fatality. Management Leadership — OSHA recommends employers draft a communication policy to comport management expectations around defined goals, allocate resources for the project, and set a good example for workers through management embrace of the initiative. Worker Participation — Calls for employers to provide opportunities for workers to participate in a safety program, and to ensure they have access to all information they need in order to participate. Hazard Identification and Assessment — Prompts employers to collect and review hazard information, identify trends, conduct internal workplace safety inspections, investigate injuries or illnesses, and more. Hazard Prevention and Control — Calls for employers to proactively identify and evaluate hazard control tools, as well as their effectiveness, and to develop emergency plans for workers. Education and Training — Calls for employers to train workers on safe practices for their workplaces, to verify that training, and to ensure specialized training is provided for certain unique hazards. Program Evaluation and Improvement — Calls for employers to establish metrics to determine whether or not their safety programs are effective, and to identify and act upon opportunities for continuous improvement. Coordination and Communication on Multiemployer Worksites — Sticking with OSHA’s recent attention to workplaces with workers from more than one business, this step asks employers to ensure that all workers present are brought in on safety initiatives, trainings, assessments, and hazard prevention programs. The new guidelines build on the framework OSHA set down with the first voluntary guidelines it released in 1989, but are not identical. The 1989 recommendations focus on four key areas: Worksite Analysis, Hazard Prevention and Control, Management Commitment and Employee Involvement, and Safety and Health Training. As you can see, the new guidelines expand on these recommendations, break them into multiple categories, or (in the case of Multi-employer Worksites) introduce new ideas entirely. The new guidelines also build upon OSHA’s 2012 Injury and Illness Prevention Programs (I2P2) Standard, which it was promulgating but has since sidelined due in part to resistance from an array of stakeholders. As OSHA makes very clear, the new guidelines, like its predecessor, “do not create any new legal obligations or alter existing obligations” for employers. However, they are a great indicator of what OSHA would most like to see from companies in regards to hazard abatement. OSHA also cites a different 2011 study concluding that the indirect cost of accidents — like time lost, training costs involved in replacing injured workers, and loss of or damage to materials — can be 2.7 times the direct costs of the workplace injury itself. OSHA clearly believes its proposed guidelines would decrease these costs for businesses as well. OSHA says it is calling for comment on the new guidelines because it wants to “update and replace the 1989 guidelines” and desires employer feedback in this connection. The phrasing of the draft questions also seems to indicate that OSHA is making it a priority to ensure that its requirements can be easily followed by businesses of any size. For example, in its first of thirteen questions, OSHA states: “The agency is interested in using a name for this program that small and medium sized businesses will easily understand,” and asks for suggestions. Elsewhere, OSHA asks if its language used is appropriate for small and medium sized businesses, what these businesses see as benefits of safety programs, what implementation roadblocks these businesses face, as well as other questions aimed and medium and small companies. This suggests that OSHA is looking to issue something that every business can use, not just large corporations. While the 1989 guidelines, I2P2, and this newest set of guideless do not add rules, they do give us a very good idea of what OSHA would like to see when it investigates a worksite. Because OSHA inspections can be subjective, following these recommended guidelines can be an excellent way to show inspectors that your business has made a strong “good faith” dedication to health and safety.